3 years ago this week, was the first time we landed in Orange Walk. God clearly spoke to Nathanael and I. We took steps, applied to EMM, prayed and asked people to be a part of our MST, raised funds, rented out our house, waited a year; and finally in August 2015 we arrived as a family. We may have thought we knew what we were getting into but life has shown me over and over again that we really didn't. As a whole, we have grown these past 6 months. 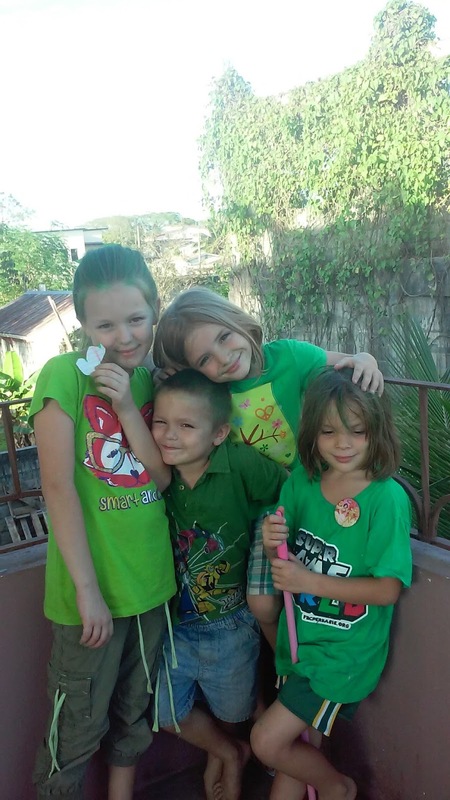 Our children have a deeper greater understanding of the global world. They have met friends who live in different corners of the world. Was it what we expected? I am not sure. I tend to hold expectations very loosely as they often get us into trouble when they don't come to fruition. I do know God has been here. It is him who has answered prayers and he who has caused growth. This past Friday (Good Friday), we went as a family to go on the "Cross Walk. " They do 14 stages of the crucifixion of Jesus. Since I'm not catholic, I really even now couldn't tell you what each stage is. We arrived to the church early. 3 years ago Nathanael and I got to do this in Orange Walk and we were excited about our children getting to experience it. We stood outside of the catholic church during the mass. As we were waiting, a man approached Nathanael about being a part of the stations. We were a bit taken aback. Nathanael's response was "I'm not Catholic" which apparently didn't matter. It didn't matter that he's American either. I personally imagine that this is not how things happen "in the states" when one plans for a cross walk, one makes sure to have enough people for the parts weeks in advance. Nathanael got painted up. Abigail and Zion got to dress up and be a part of things as well. The people who did the costumes were quite happy that Nathanael has a good beard! They got to participate in the fifth and 11th stations. Zephaniah and I followed the crowd from the fifth station through to the 11th. I got some footage of the other stations. All in all we had a great time. It was totally unexpected and a bit exhausting! It is a few mile walk. Zephaniah was exhausted after our week in Placencia. After it was over we even got to have a small "dinner" (chips, dip and tang) with the other people who participated. When we arrived home, I still had a load of wash in the washer. We ate dinner and I went outside to hang wash. (my father would be proud). I was standing hanging the wash when a vehicle pulled up. A man got out and signed to me. Some of the people from Spanish Lookout were in Orange walk and were driving around looking for our house. I was standing outside and they recognized me. Had I not been hanging wash at that moment, we would have missed the opportunity to have guests. This week we are thankful for the unexpected in our lives. Unexpected things, unexpected growth, unexpected richness of life. We truly are blessed. This Monday we left with Nancy, Sulmi, and Danni (from the YWAM team) heading for Placencia, Belize. We made a few stops on the way, one to the zoo. It was nice that Nancy stopped several times to help the 5 hour trip not feel so long. We really enjoyed the zoo! I also loved the artbox which had a selection of Christian books and CD's along with a bunch of beautifully handcrafted items. At around 4:30pm we arrived in Placencia. Why did we go? We joined 3 other families, our supervisors, and 4 other singles for an EMM retreat. All of the missionaries in Central America get together once a year. This year it was in Belize so we had a shorter car trip. One family didn't come. They live in Hondorus and the Honduran government gave them unexpected trouble at the border. That was disappointing! 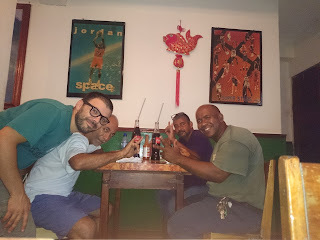 We spent 2 days fellowshipping, eating together talking and playing. Twice a day we had sessions with Rich and Rachel Deeds who lead groups north of Placencia. They do ministry at a place called Life Change Institute. Nathanael and Danni interpreted for Nancy during the sessions. We had wonderful childcare workers, some who are serving in Guatemala, and some who came from the States just to help with the children. Our children really had fun. The bulk of the children knew each other from Oasis and training in the summer of 2014. It was good to be with friends especially other TCK's/MK's. While I am on the subject, I read an awesome article about TCK's I will share the link to. Really it is Nathanael and my job to shepherd their hearts. Lucianna also comes beside us to make sure the children are thought about and cared for. I think though it helps if "you" the reader understand a bit of the world that my children live in. Saying goodbye often and struggling with emotions are common for them. They are still unsure how to answer where they are "from" or where home is. Sometimes they hate it here. Just last week Zion decide that when we leave in June she won't come with us. This is just a part of the roller coaster we are all on. We left the retreat encouraged and saddened. Saying goodbye is difficult. It is our hope that we have raised enough funds to return by next year's retreat. At this point we are not sure what will happen. what do Saint Patrick, YWAM and heat have in common? I am working on describing the hodge-podge of a week it has been and trying to compile it in my head. Read with me and enjoy the process! 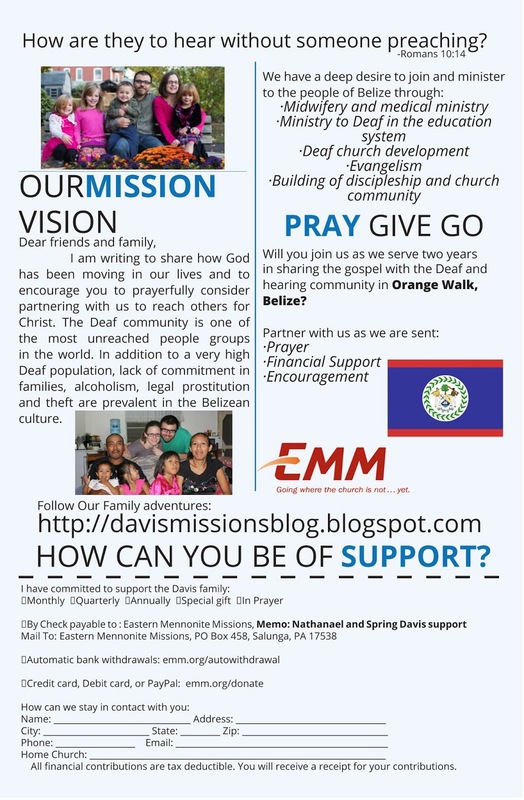 This Saturday a YWAM team from a Deaf DTS base near Gallaudet University came to Orange Walk. We have had the privilege of walking with them. Nancy took the 3 women to school at Saint Peters (where a few Deaf teens and a child go to school). 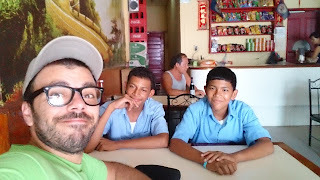 Nathanael took the man Caleb to the special needs school in Belize City 4 days this week. More about this in a later post. They were also able to meet for Bible study with most of the men that Nathanael usually meets with. On top of that Nathanael had to teach his usual 3 classes. He teaches 2 in Orange Walk and 1 in Belize City in the evenings. The team visited with the students who are just learning the basics of BZ-ASL. 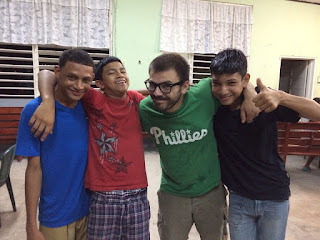 There will be a bigger post just about Nathanael's breakthrough and what teaching these classes means for Belize on a different blog. Stay tuned! Nathanael had a very busy week!! Today we celebrated Saint Patrick. What did we do you ask? Really it was nothing fancy. We wore all green and got to watch a video about his life. We usually watch the short one from the Veggie Tales. This one was really moving to me. I love how they use actual quotes, and discuss how Patrick made a difference. It makes my life pale in comparison. He was a missionary to those who enslaved him. I guess I really do have the "easy life"!! It was also a great reminder to me about the calling not only on my life but on everyone who is in the church. Finally HEAT. I really have not discussed this because for a while (August-mid December) nothing much changed for us. Mid Dec- mid Feb we had a mild reprieve. We wore jackets and bought a few more blankets. The kids started shivering at 65 degrees. Things have returned "back to normal" really March-May are some of the hottest months of the year here. Our heat index is usually high 80's to low 90's. We sweat from when we wake up to when we go to bed. While I was on my medical missions trip, people were surprised I was cold.. (they were coming from below zero temps in the south in Jan). They kept asking if I was "used to" the weather here.. I really don't like the question. I get hot like everyone else here gets hot. I don't have ac like the majority of people in our community. Today I went to visit El Popular, our local panadria (bread shop) the regular man who guards the door was there. We got to discussing the heat and how I was hot. He offered solutions. I told him it was different for him because he was born here. I really loved his reply "Sister, everyone is human"
If you are wondering if we enjoy beach like weather everyday (without a beach in sight).. we really are still human. Moving is difficult for most people. It involves transition, change and packing. We moved out of our culture to a different one, from the known to the unknown. Only Spring out of the family had done this before. We were excited and nervous. When talking with a friend who moved across the US about her daughter's struggles with their move, I realized we weren't alone. Friendships don't happen overnight. One must find different ways to connect, and keep connections. I for one am so thankful for Skype. I am also very thankful to my brother-in-law who ported my google number for me. Now with internet I can text my friends easily. It comes up as the same phone number that I've always used. Added bonus in a country where we pay per text, these are free/unlimited! The children have slowly developed friends. They have fun with the other children at church. Over Christmas our neighbor (who is 10) had cousins from Guatemala over. We tried to do a mentos diet coke experiment but it was a total fail. (we figure coke light is different from diet coke perhaps?) Our mishap did develop a relationship with her cousin (Zion's age) who went home after Christmas and eventually our neighbor. Unlike other countries I've visited in our area there isn't a lot of kids just playing in the street. We have to seek out activities. This is good but difficult. How do we connect to people in the States? Skype, What's App, Viber, and my ported Google number are my friends ;). I just talked with my mentor today and a friend I used to walk with texted me. I am blessed. The children Skype weekly with Lucianna who is the child advocate. They also are able to Skype with family, and friends. Do we miss the US? Yes we do. Quite frequently. We are so glad for ways we can connect with friends online and in person. 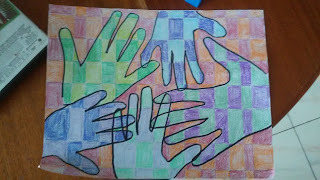 Friendships are those that require effort, and we are thankful that there are so many different ways to connect! One thing I really miss about living where we lived in Pa was a great Christian Library. Calvary of Souderton has a library open to anyone. It is the biggest church library I have been in. Even though we're not members, Calvary allows us to borrow books. In the midst of the confusion of last year (when were we going to Belize.. how to raise support.. how to live with your parents when you have a family of your own) I "happened upon" a book by Paul Miller called A Praying Life. Needless to say this was exactly what I needed at the time. He approached prayer in a way I really hadn't looked at in a long time. He speaks about our utter dependence on God, just as Jesus was. How could I expect to be less dependent on my creator than Jesus was? It was a strong challenge! I was able to find a great "prayer card" app which I really like. I can edit cards, add verses and requests for different people. We all have ways we pray. This is an intimate thing. This is not a post on how or what to pray. A while ago I was convicted. We have this blog so you can connect with us. You can see a little of what is going on with us. I do my best to give a little taste of what is going on in our lives. I have neglected making prayer a part of that. 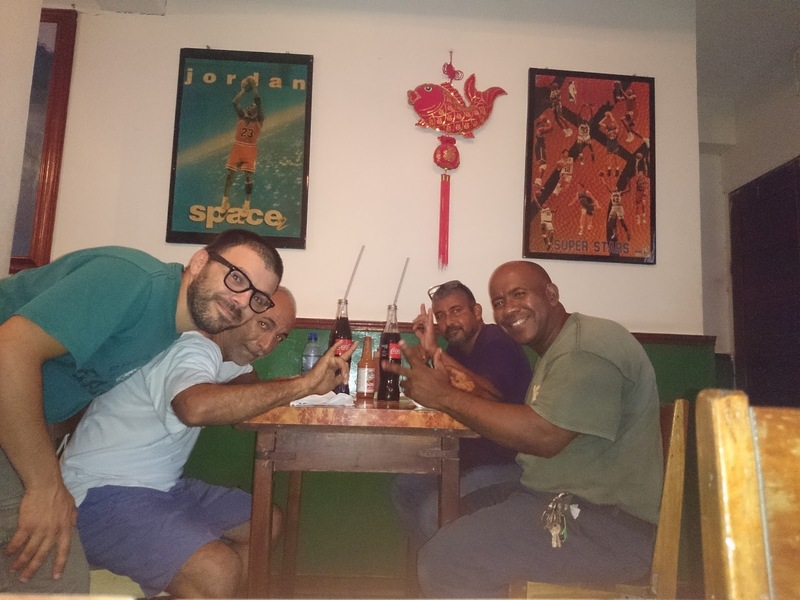 Two weeks after we moved to Orange Walk, Nathanael started meeting with the Deaf men in the town. He really wasn't sure the best way to do this or how to start. As we have observed before most of Belize takes a lunch break at 12-12 or thereabouts depending on if it's school or a work situation. Many children in school go home to eat. Some will buy food in the area. Nathanael realized that since everyone takes a lunch at this time, it would be ideal to meet with the men then. He met with the men 5 days a week on their lunch break. Since then he's condensed the meetings to 3 small groups 3 times a week with a total of 7 men, according to the location of the men's work (or school) and time they take lunch. When Ben visited for Christmas, he brought a few copies of The Purple Book. Nathanael studied the purple book a few years ago at Hopewell and felt it was ideal for these meetings with the men. 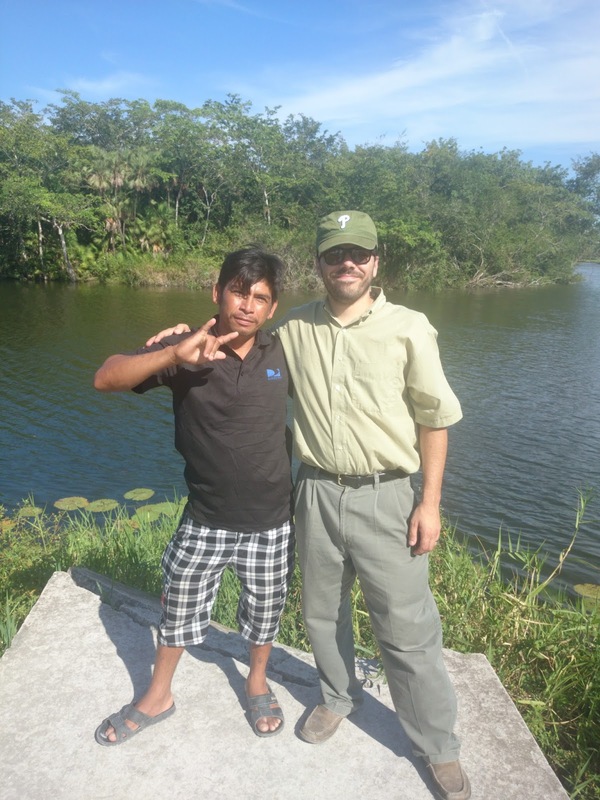 He uses The Deaf Bible to help increase understanding of the passages they are reading. Recently Nathanael and I were discussing the short term missions team that will arrive next week. Short term trips are more like a sprint, while longer term trips are more like a sprint. It will be great to sprint for a week with the team of 4 who are coming. What Nathanael desires most of all is discipleship. He doesn't want quick or pat answers. He doesn't want it to be a show. He wants to walk along side these men as they seek God. One man asked to take The Purple Book and study it himself. Please pray that God would touch his heart and he would experience him. There are two boys attending middle school that will be going on to high school next year. Please pray for a growth of faith and discipleship for them.